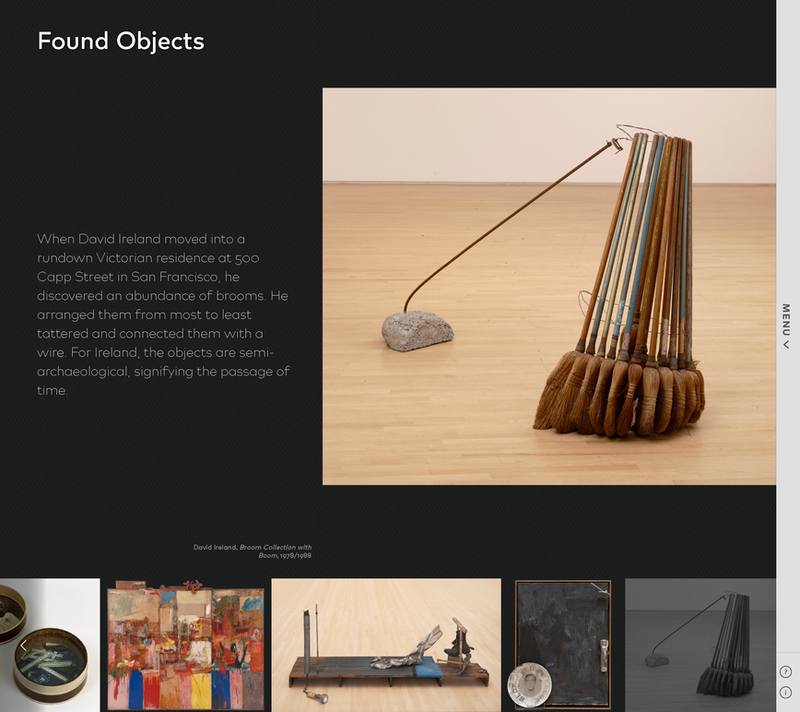 With their 2016 expansion, SFMOMA reaffirmed its commitment to visitors—to act as the gateway to the art for our time, and to reveal fresh ways of seeing, thinking, and engaging with its collection and the artists who created it. 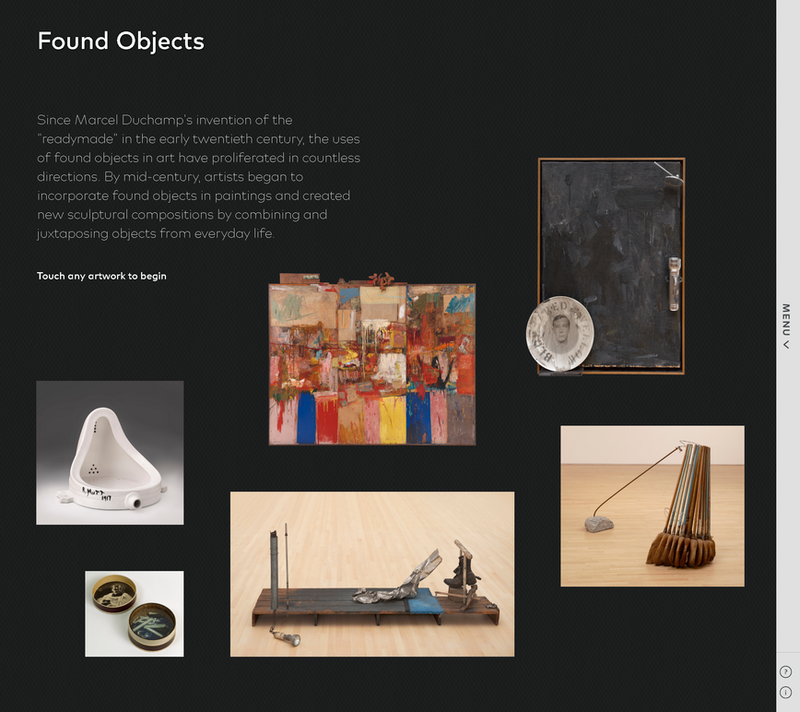 SFMOMA enlisted Belle & Wissell as a collaborator to co-create an interpretive gallery containing two complementary experiences that further these visitor-centric objectives. 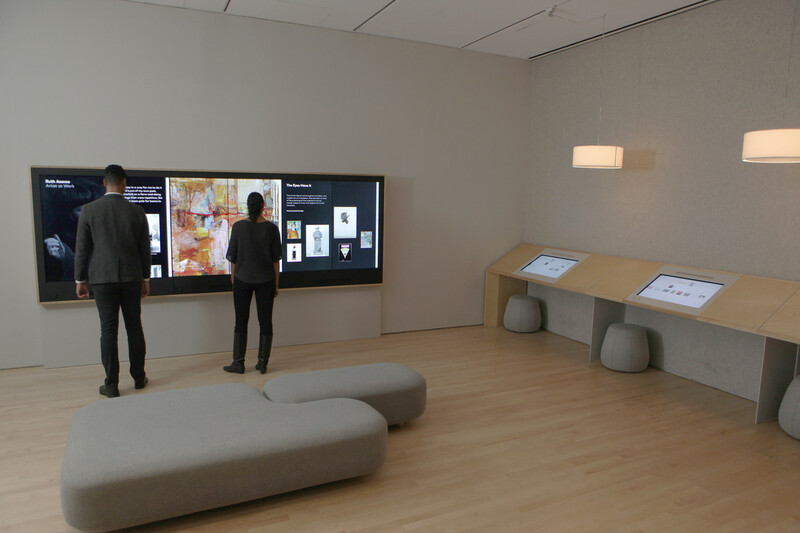 The Wall and Table Experiences available in the museum’s second floor galleries are designed to help visitors make meaningful, personal connections to art and artists, in a comfortable, welcoming space that allows them to pause, think, and reflect. 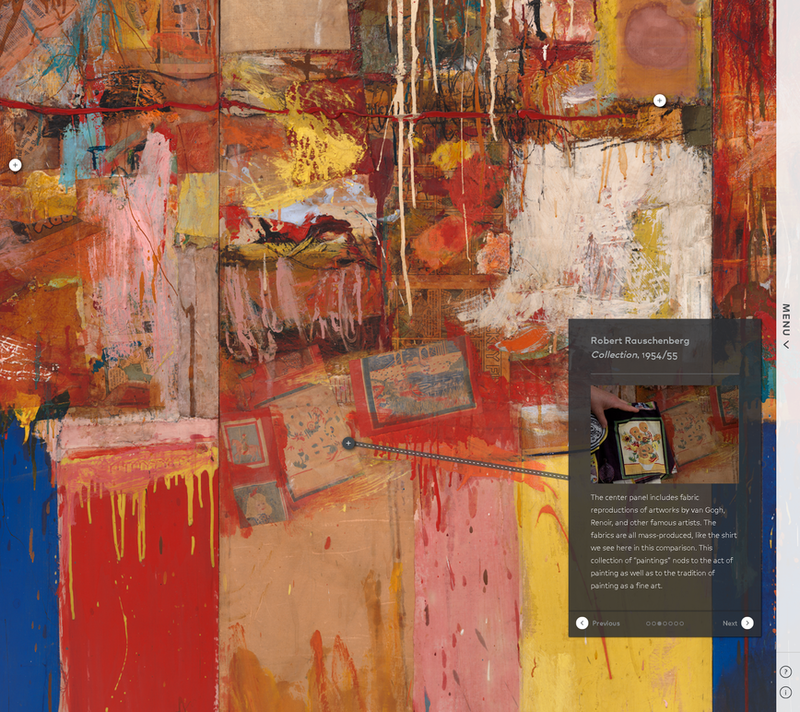 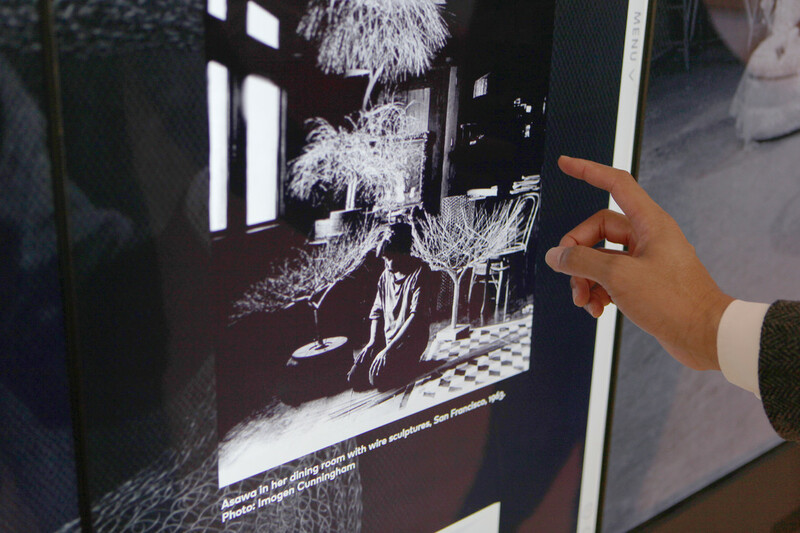 The Wall Experience presents a series of large interactive “posters” exploring thematic connections between collection objects; hidden stories contained in key objects by presenting them at magnified scale; and revealing looks inside artists’ studios, providing insights into their creative processes. 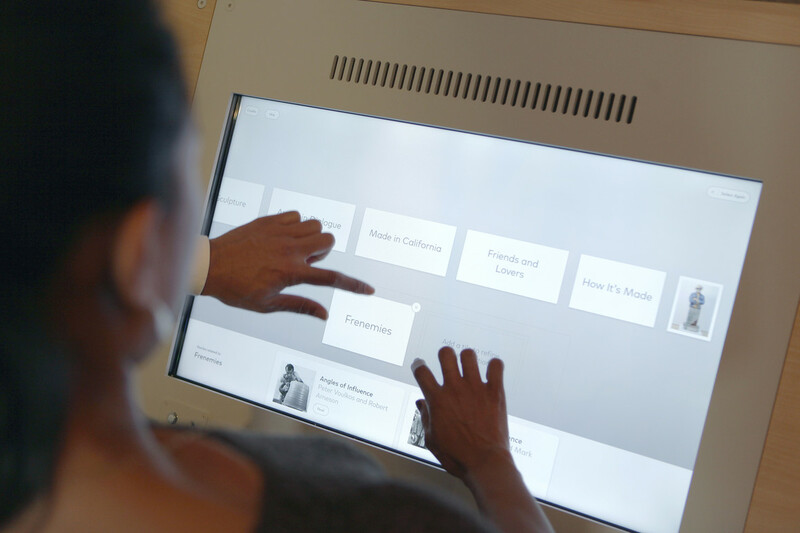 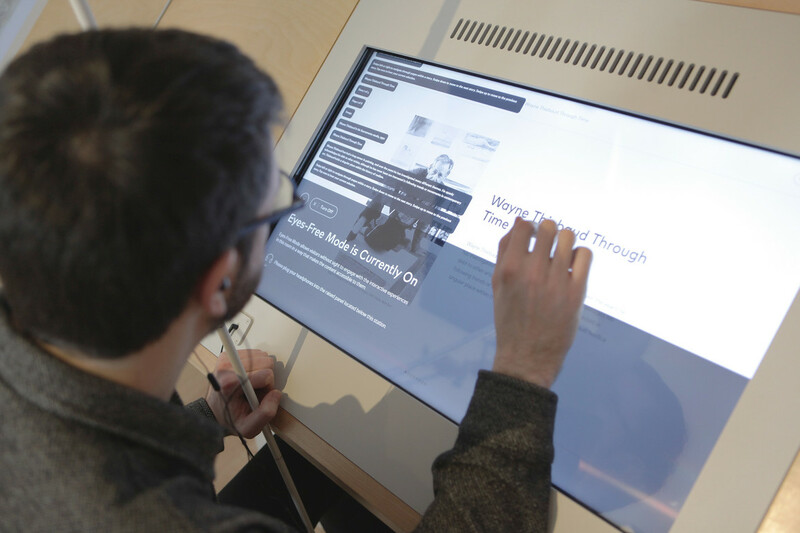 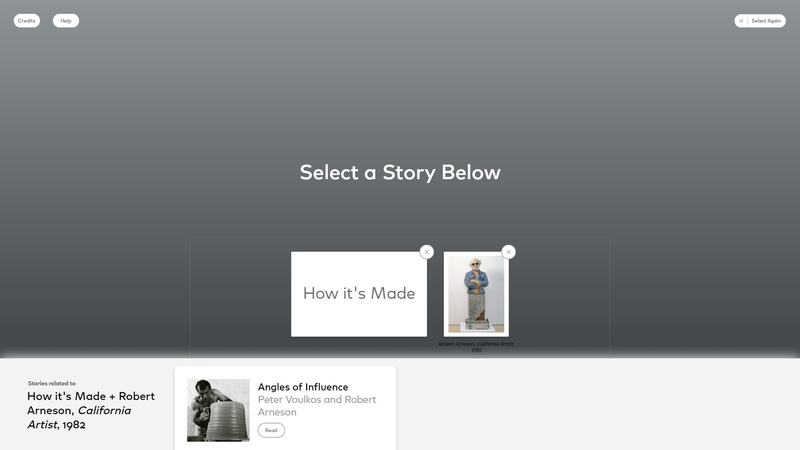 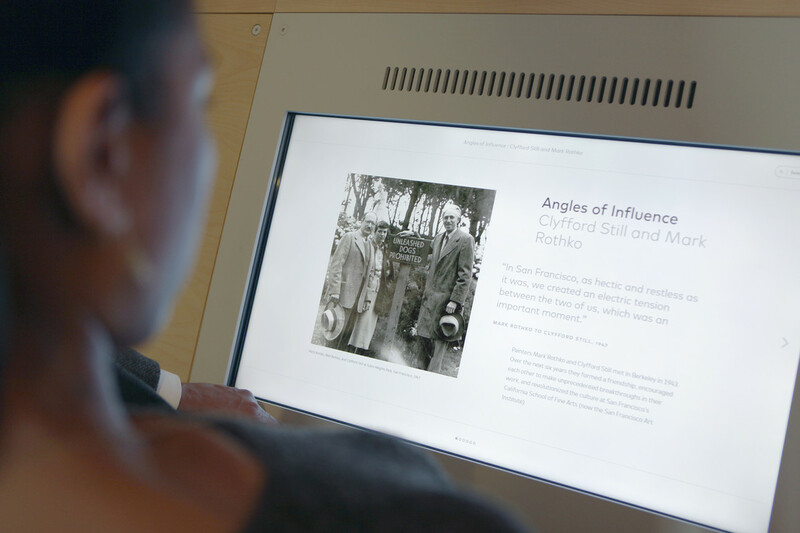 The Table Experience allows visitors to dive deeper into narrative stories, and is triggered by selecting pairings of evocative words and images. 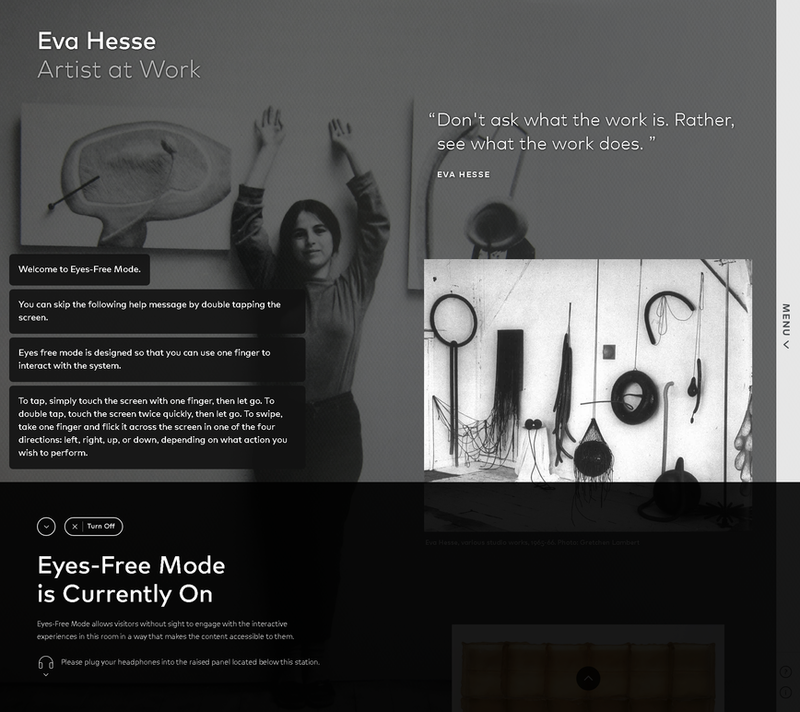 A significant component of the project—and a unique challenge for Belle & Wissell—was the innovative Eyes-Free Mode. 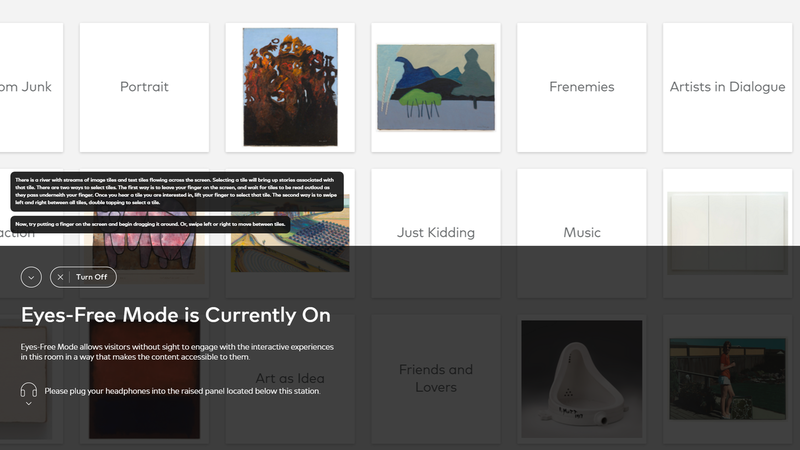 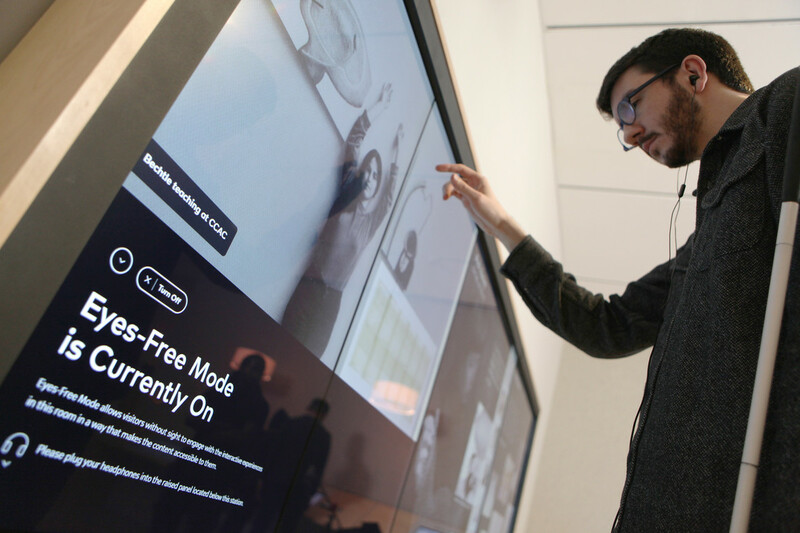 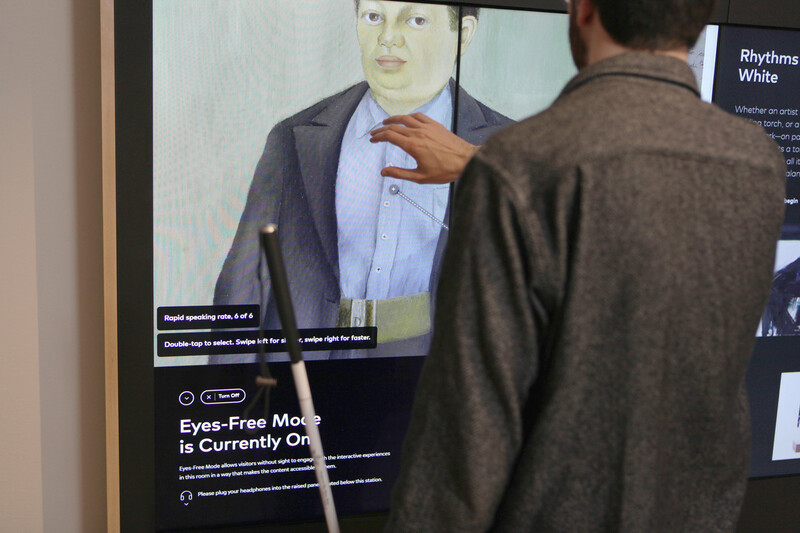 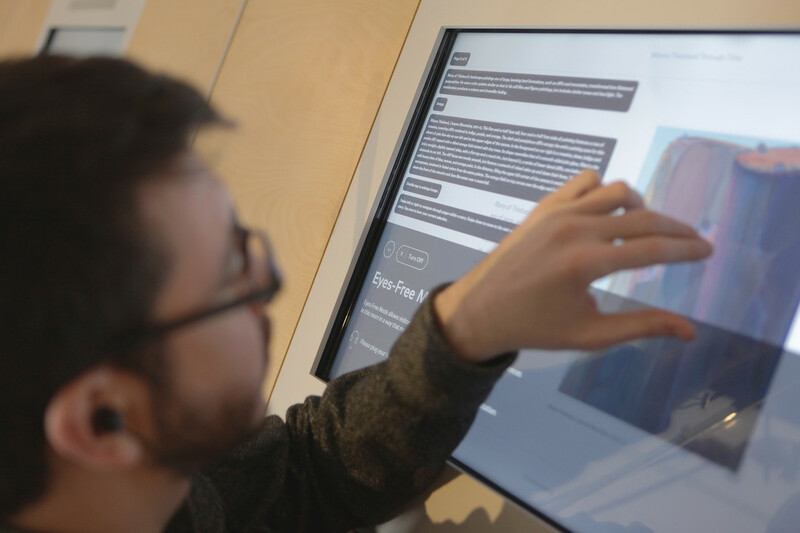 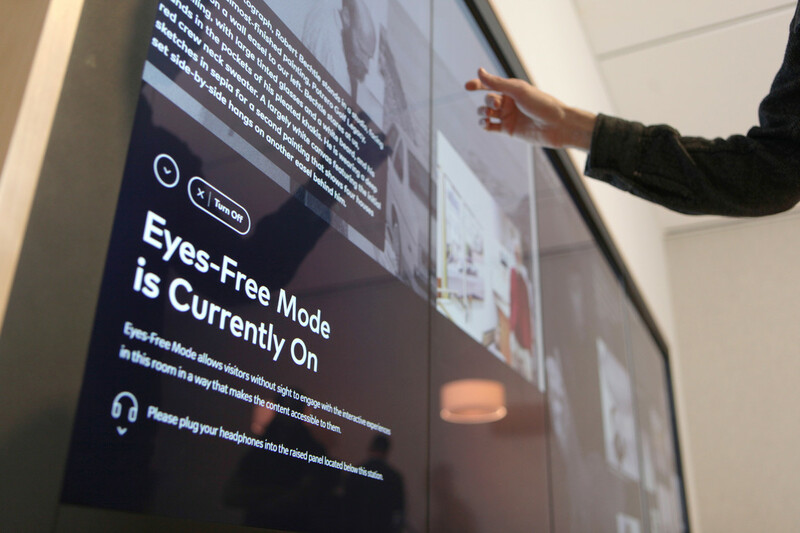 Eyes-Free Mode preserves the unique content presentation that sighted visitors experience, while delivering responses to touch-based interactions through audio feedback, making this content accessible to visitors with low vision or without sight. 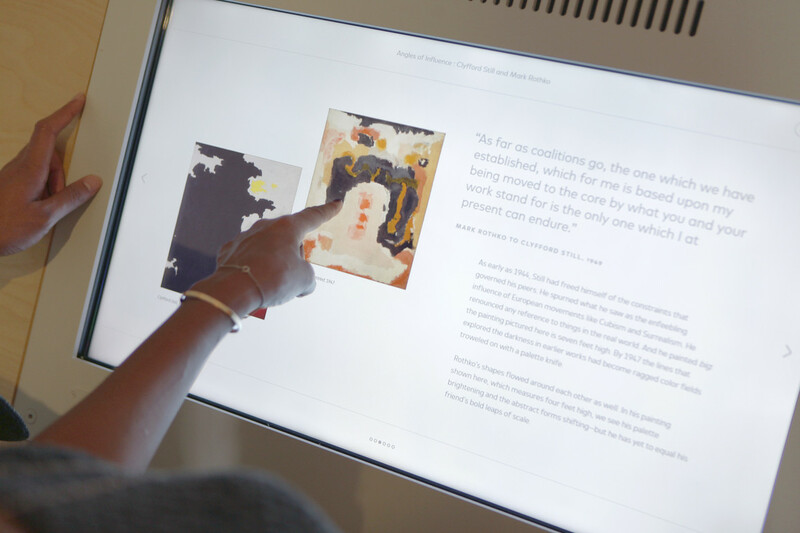 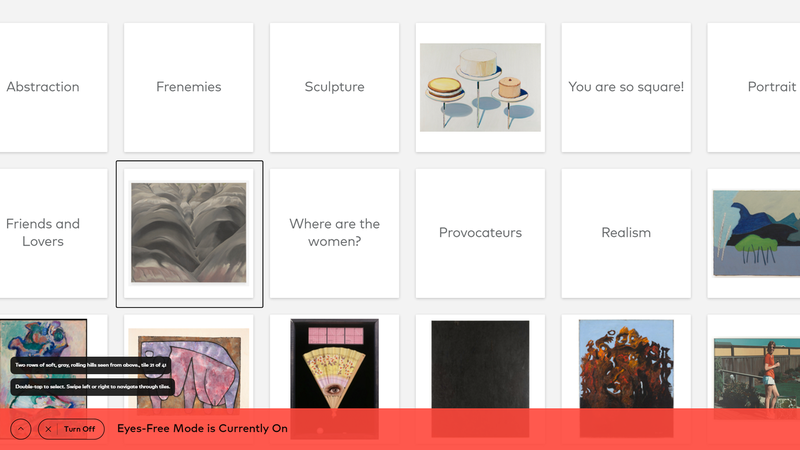 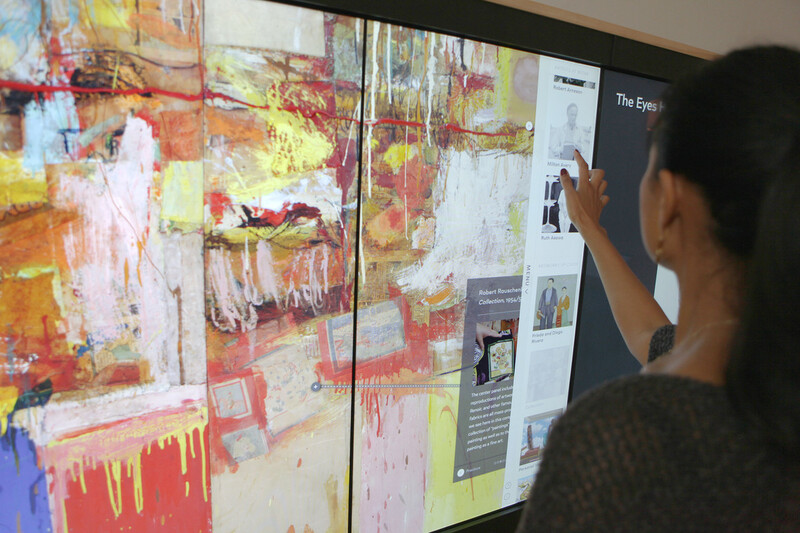 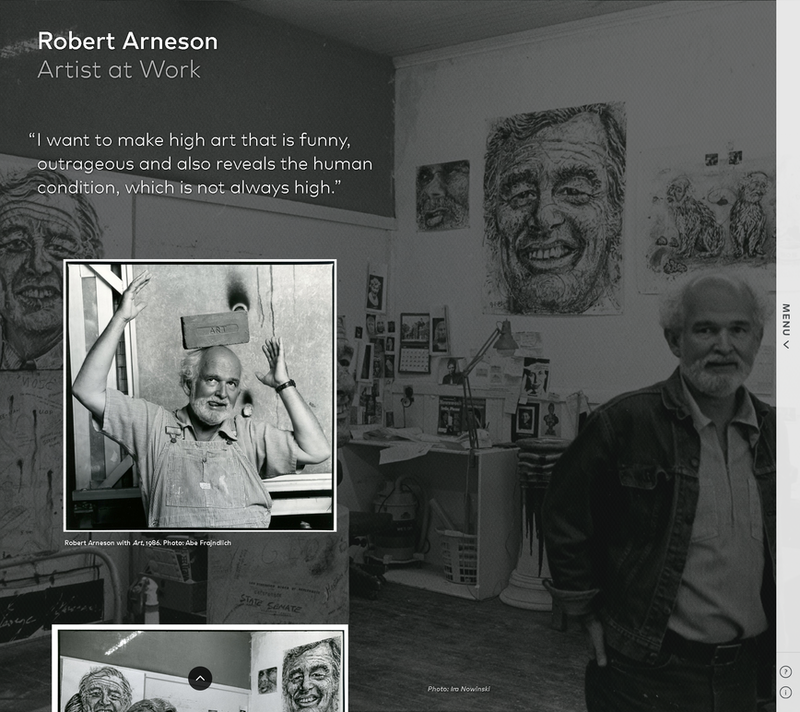 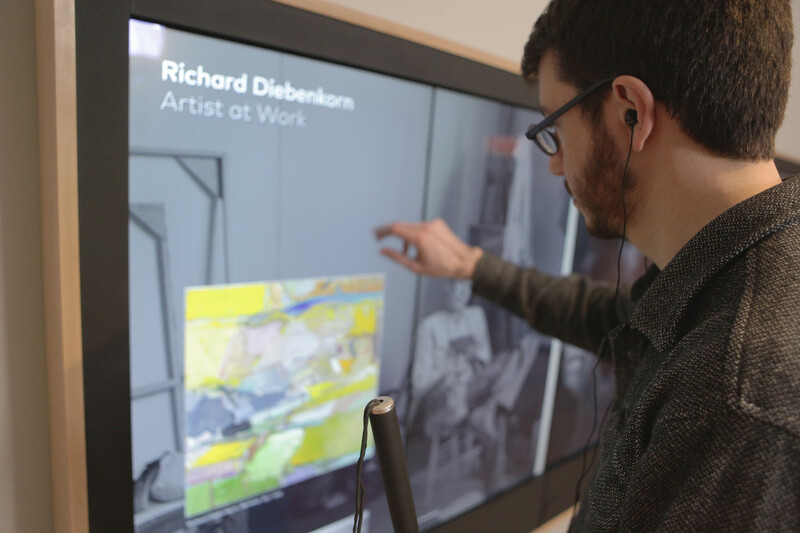 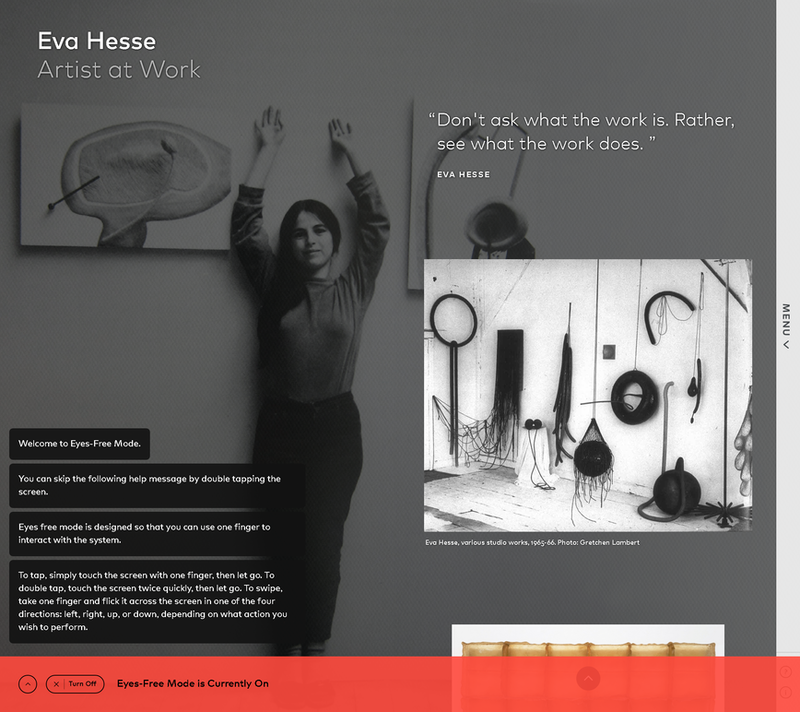 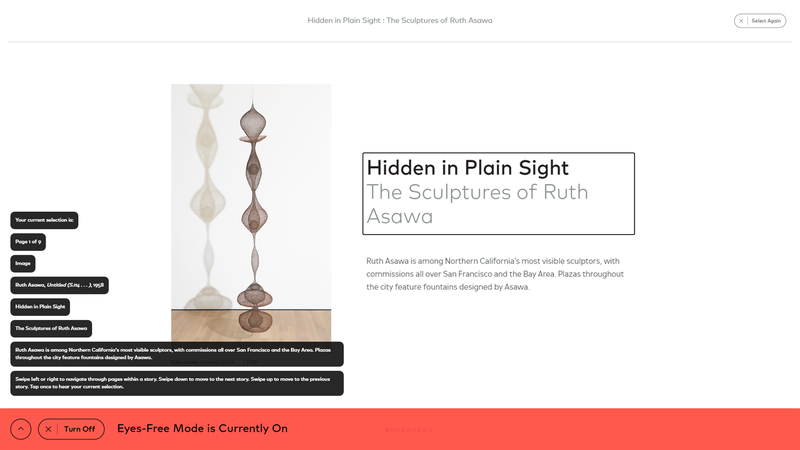 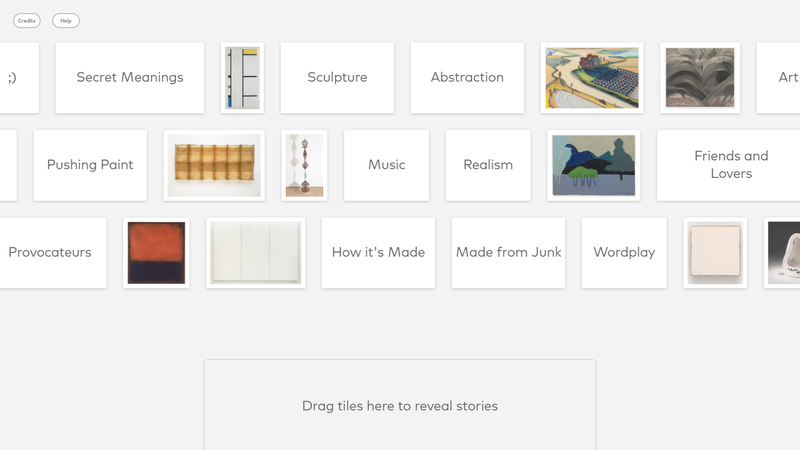 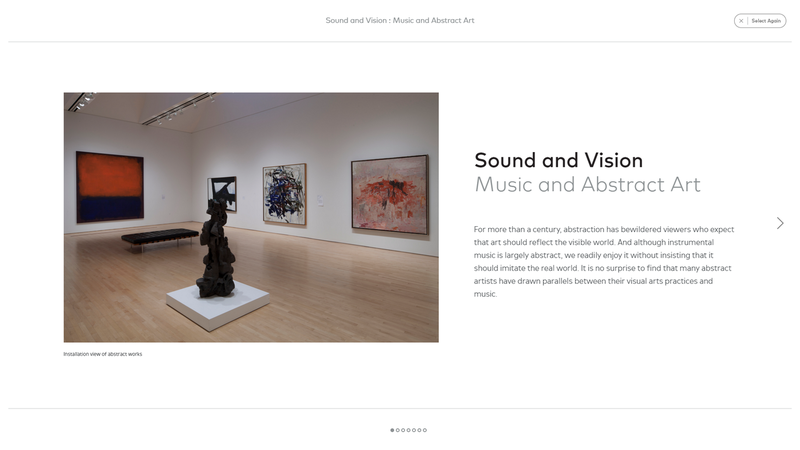 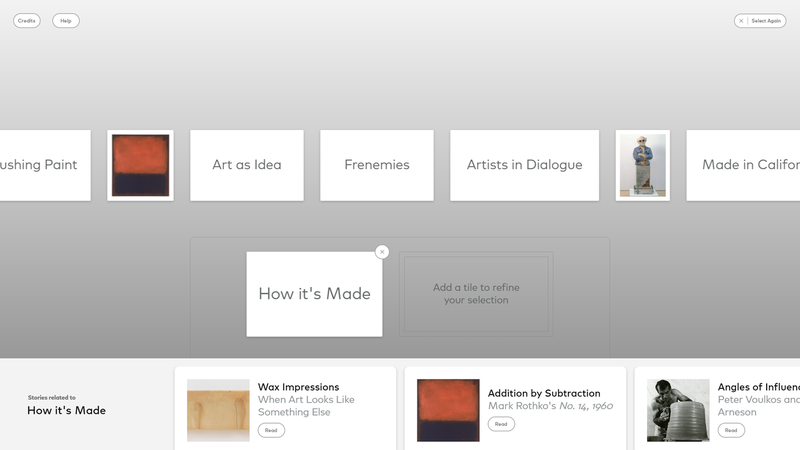 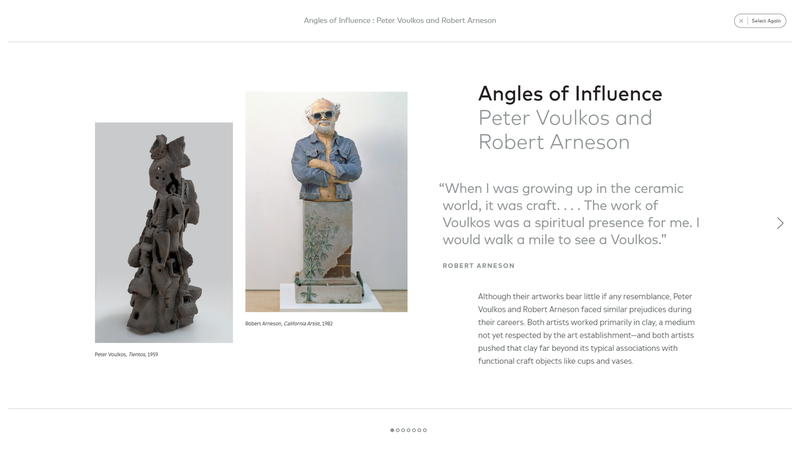 This combination of expressive, spoken descriptions, captivating imagery and video, and self-guided interaction help ensure these experiences serve all SFMOMA visitors.